Located next to the Buddhist Stupa of Enlightenment is the Butterfly Park in Benalmadena, a place where you can find different species of plants and about 1500 butterflies from different regions of the world. Although I recommend to visit it during spring, the Butterfly Park is open all year round. More than 150 different species of butterflies are available and breed in the park; visitors will be able to see how they emerge from the chrysalis and fly for the first time. You can also enjoy the wonderful views of the Mediterranean from the Benalmadena viewpoint. I think it’s an ideal activity to share with children, but adults can also enjoy it. Remember when you were a child and saw a butterfly for the first time? I do, I remember one of those days when I used to go with my family to the countryside on weekends. 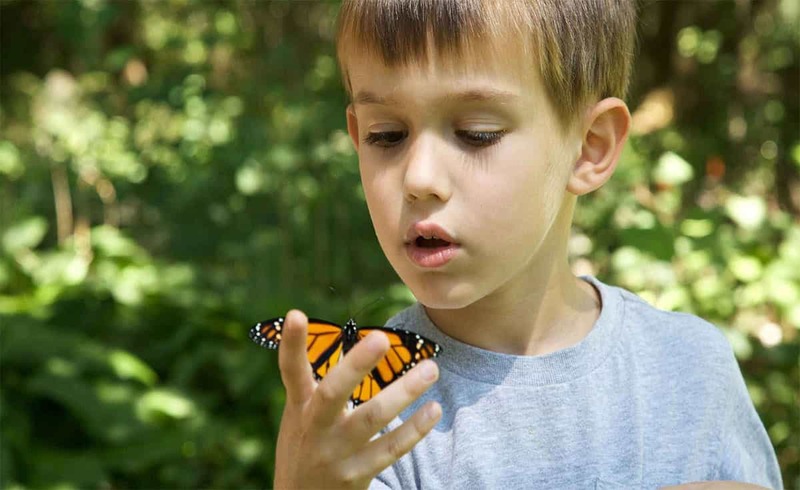 I would be 4 or 5 years old when I took one butterfly that dared to fly near me being a child; when I opened my hand I could see it staying on my palm. I asked my mother why the butterfly didn’t fly again, to which she replied: — It is staying for you to see how beautiful its wings are, now you have to thank it by letting it go. I was amazed; my mother with the help of nature gave me some magical seconds that remained since then in my memory; the butterfly resumed the flight after a while and I followed it for a few moments, until my parents called me to continue the hiking. My first close encounter with a butterfly was in Monte Tortuga, good memories from childhood. Travelling with children? I think it’s an ideal activity to share with them, but adults can also enjoy the experience. The butterflies have amazed us since childhood; the great variety of designs and colours on their wings are a show where nature exhibits its magic. In Asia, the butterfly symbolizes the soul and spirituality and China 4,000 years ago began raising butterflies for silk production. Butterflies are the second insects with the greatest diversity of species in the world, although of all only about 20,000 species are butterflies and the rest are moths. Although day butterflies are more popular, the most abundant species are night butterflies. The growth phases of the butterfly are four: Egg, caterpillar, chrysalis and adult. The average life of a butterfly is between 1 and 3 weeks although there are species that hibernate and can live several months. The main food of the butterflies is the nectar of the flowers although there are some nocturnal butterflies that do not feed, so their life cycle is no more than 3 to 6 days. Each butterfly species must lay eggs on a specific plant for the caterpillars to feed. The largest butterfly can reach a wingspan of 31 cm and lives in New Guinea. It is the biggest space dedicated to butterflies in Europe. The building is beautifully designed in Thai style. 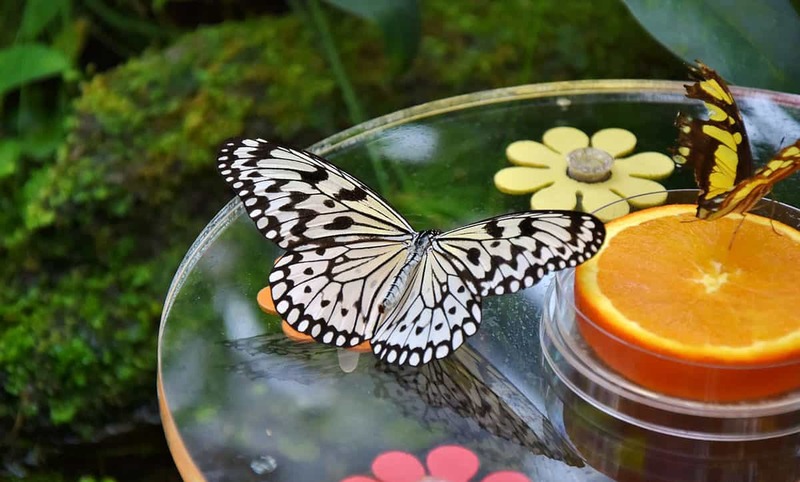 These fragile tropical beauties require a special climate of between 24ºC and 28º C and a high level of humidity; since butterflies fly freely, visitors move within their habitat, a new zoo concept called Zooimersion. Butterflies come in the form of chrysalis from all over the world to this botanical garden. They are born in a controlled environment visible to visitors and they are fed with artificial nectar. The plants found in the garden are autochthonous and, together with the butterflies, contribute to the conservation of the places of origin. In the Butterfly Park visitors will find information about their world and more curious facts about butterflies. Younger than 2 years old for free. The schedule is from 10 am to 6.30 pm every day of the week. If you go by car you must take the exit to Benalmádena Pueblo on the A-7 motorway, if you go towards Marbella it would be the next one after the Arroyo de la Miel exit. 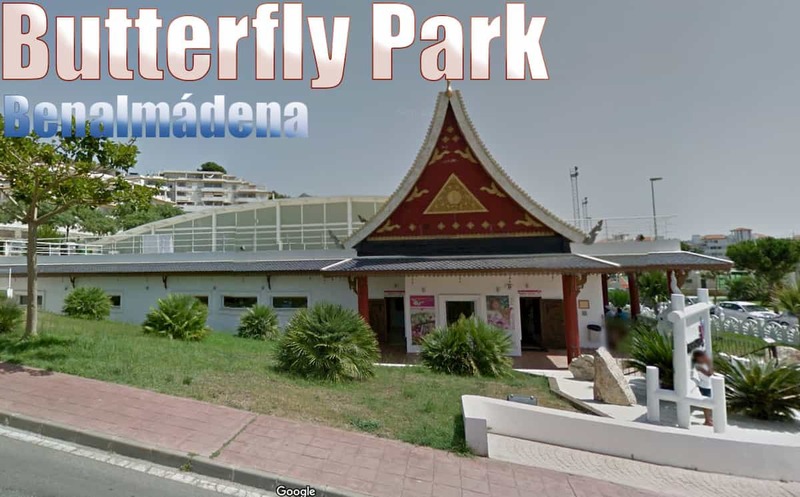 After the exit you have to go East towards the Buddhist temple, the Benalmadena Butterfly Park is next to it. There are enough areas for parking during all the year. If you arrive on holiday by plane and require a car hire at Malaga airport, you can read our guide recommendations. If you go by train you must exit at the Benalmadena – Arroyo de la Miel station. From there take the L2 bus and exit at the stop “Estupa Tibetana”. Consult our section of the suburban train in Málaga for information about ticket prices and stops. By bus: lines 103 and 126 of Benalmadena, 112 Malaga-Mijas, 121 Torremolinos-Benalmadena-Mijas. Do you feel like visiting the Butterfly Park? I do after writing this article.